Key Features ´Stutter" effect for studio and stage Provides 12 tempo-synced rhythmic effects that can be played like an instrument Re-..
Condensing sonic adventures into a single key press is what makes Stutter Edit so playable, especially with its intelligent sense of timing. Stutter Edit is designed with musicality in mind, which frees you to make wild sounds that still feel like a natural part of your tracks. Outside of the studio, couple Stutter Edit with a host like Ableton Live to rocket your performances into a new world of organic improvisation. The best way to learn more is to simply start playing, listening, and observing the power of Stutter Edit´s controls. Get started by checking out feature details and audio samples below, then download the demo and try for yourself! Stutter Gestures combine real-time sampling and audio chopping with a range of versatile color effects. Think you already can make stutter effects with some other ´beat-repeaty´ effect you have? Think again. Simply put, Stutter Edit makes sounds you´ve never heard before. Trigger Stutter Gestures back-to-back to create limitless combinations of rhythmic variation and audio decimation. Stutter – Repeat audio at a rhythmic note value—create incredible sweeps that transition from one rhythmic value to another. 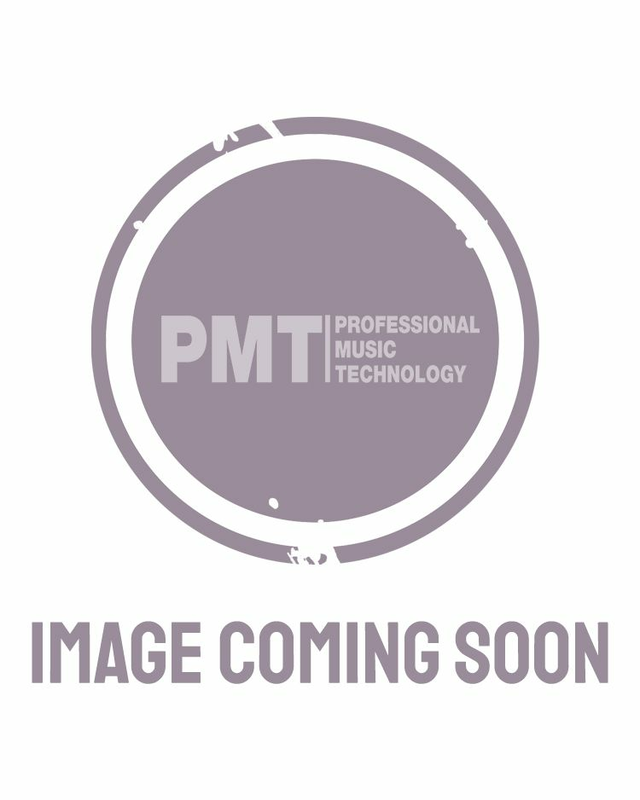 Stutter Matrix - Choose from a note value from 1/4 to 1/1024 for the stutter module to sweep or step between. That´s not enough? You can also make your audio repeat at a high enough frequency to turn it into musical pitches. Quantize - With Quantize off, Stutter Edit sweeps between note values continuously. With it on, you can create unheard-of stepping effects that transform your audio into complex rolls, trills and even arpeggios. Buffer Position – Use this slick radar screen to choose where Stutter Edit pulls audio out of the buffer. Dice drum loops. Jump between notes in a vocal phrase. You can even randomize playback order for unexpected results. Bit Reduction - Get a dose of digital distortion or add a periodic growl. Like every Stutter Edit module, it´ll move in sync with the tempo. Generator Gestures - While Stutter Gestures process audio, Generator Gestures mix noises and crashes with your track. The Generator gives you the ideal tool for creating washes of noise, dramatic build-ups, and hits that add excitement to a track. For performance, choose where you want the Generator Gesture to end, and no matter where you trigger it, it will intelligently stop on the perfect beat. You can even hold a Generator Gesture as you jump between different Stutter Gestures. The result: an improvised arrangement that sounds like you´ve spent hours toiling in the studio. (Audio demos for the following can also be found in the player above). Delay - The Generator has its own dedicated delay: when you release a dramatic build-up, it can decay into a trail of echoes for a perfectly smooth transition. Global Filter - Grab the Pitch Wheel of your MIDI controller to engage a dual Low- and High-Pass filter. Push it up to cut lows and add resonance, push it down to roll off highs and bring things down to a low rumble. (Audio demo above). Timeline Override - While Stutter Gestures automate everything in sync to the beat, you can also take control of the Gesture timeline with Timeline Override. Grab the Mod Wheel of your controller to hijack the motion of all of the modules at once. Improvise wild rolls, fills, transitions and even "freeze" the Buffer Position. All the world´s a stage… and a studio. Reinvent your performances with a musically intuitive tool that works with you to produce studio-quality flourishes on the fly. Effects that once took hours of complex editing are readily available at your creative command, freeing you to focus on the fun. Use your MIDI controller to trigger rhythmic stutters, glitches, gating, build-ups, sweeps, fills, and more. Drop the beat perfectly thanks to flawless tempo sync and timing grids. Turn rhythm into pitch and pitch into rhythm with incredible stuttering techniques. Tired of every hook in the book? Exploit Stutter Edit´s sonic capabilities and the next hot trend could be yours. Whether you´re producing for yourself or others, Stutter Edit is a breakthrough for defying conventions of electronica, hip hop, pop, and rock. Stutter is just the st-st-st-start… Unleash your own style of razor-sharp rhythmic gate, pan, digital distortion, delay and filter effects. Bury the hatchet Take a break from painstaking cuts, slicing, and complex editing. Save yourself Capture your brilliance in custom gestures and presets for jump-starting future projects. The sounds you´ll make were unheard of, until now. Stutter Edit easily transforms audio material into ear-catching sonic delights. Infuse your work with a modern twist on processing and manipulation and leave your clients scratching their heads in wonder. Game on From loading screens to battle scenes, play up the fresh factor in video game sounds and effects. Break the radio silence Rapidly revitalize radio bumps, transitions, and stings with modern flair. Foley fodder Enrich soundtracks and sound effects with unique spatial and temporal manipulations. Whether you´re composing, recording, or just plain rocking out, the added effect of audio effects can be inspiring. It´s a quick and easy way to freshen a track´s sound and explore new musical possibilities. Now imagine if you could also play that effect, wielding control over every parameter as if it were an instrument in itself. Stutter Edit goes far beyond simple effect automation: one press of a key can disintegrate a vocal line into a syncopated rhythmic roll, or transform each drum hit to an arpeggiated scale of pitches. The result can be as subtle or as jarring as you like— as the Stutter Edit performer, you´re in control, whether on stage or in the studio. Score a hit Adopt Stutter Edit as a new compositional tool for rhythmic motifs, transitions and arranging. From intuition to fruition With Stutter Edit´s foolproof design, musical ideas evolve organically into truly useful material. Let there be laptops Shake up the band´s next gig with Stutter Edit for live audio manipulation on the fly. A prolific composer, technologist, and 53rd GRAMMY® Award nominee, Brian Transeau (BT) is also renowned for pioneering the "stutter edit" as a musical technique. When first conceived, stutter edits required hours of meticulous labor: careful slicing of audio into impossibly small fragments before resynthesizing the result into modern fractured effects. Craving a better workflow, BT searched for tools that would help unleash his creative vision. When none were found—technologist that he is—he resolved to develop hisown tools. And thus Stutter Edit® was born. 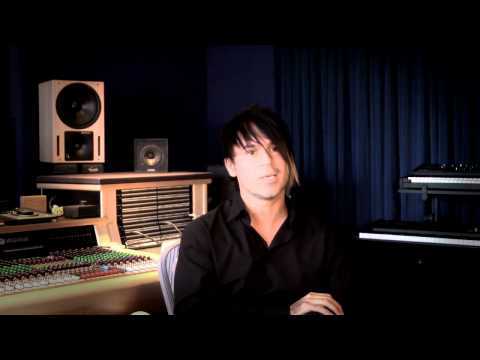 Over the past decade, BT has used early versions of Stutter Edit for both performance and studio work. Benefitted by his real-world experiences, the design has continuously evolved with new features and refined usability. In 2010, BT partnered with iZotope, who has now built the technology into a complete product—compatible with both PC and Mac OS X platforms, as well as major music production and performance hosts.